When visiting Cat Ba, most people remember beautiful golden beaches stretching for miles. However, there are many other destinations to visit in Cat Ba. One of them is Cat Ba National Park was recognized as World Biosphere Reserves by UNESCO with its unique and various populations of organisms that really meet the tourists’ need of exploring and relaxing. The location of Cat Ba National Park: Cat Ba island, Cat Hai District, the South of Halong, about 30 km apart from Haiphong City centre, 25 km from Halong City. Cat Ba National Park has the total natural area of about 16.000ha locating in a limestone area with the typical forest type is Tropical Evergreen Rainforest. 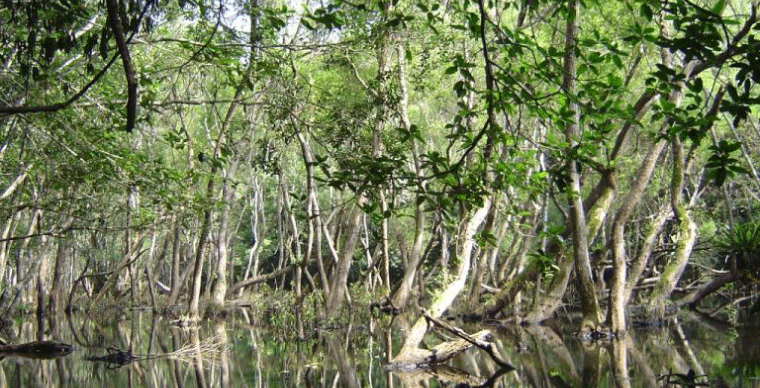 There are many ecosystems combining in Cat Ba National Park: tropical evergreen rainforest on limestone mountain, wetland forest on high mountains ( Ao Ech ), mangroves in coastal areas, sea areas with fringing reefs ( reef fringing the shore ), cave systems that typically are the inhabitant of bats, valleys and settlements. 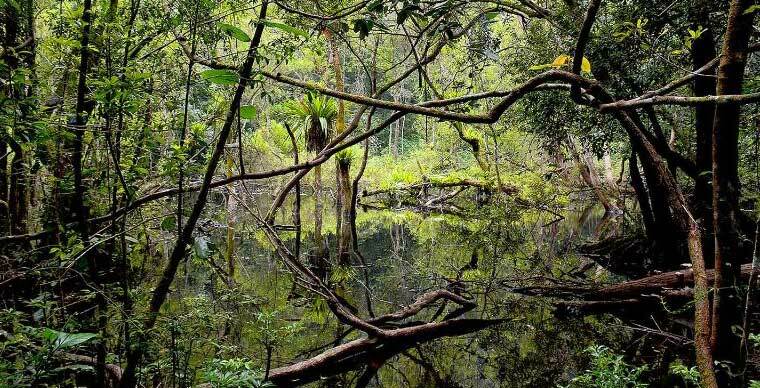 Coming to Cat Ba National Park tourists can explore a various organism system of 741 kinds of plant, over 200 kinds of bird and over 50 kinds of animal, 274 kinds of insect and 66 kinds of reptile. Moreover, Cat Ba National Park also attracts tourists through the values of human history this place contains. Archaeological sites found in Cat Ba National Park prove the sign of people inhabiting here from 6000 to 7000 years ago. The most ideal time to come and visit is from April to October when the weather is at its finest. Tourists can choose many different ways to explore this various ecosystem. From the centre of the national park, tourists can choose one among 5 treks to experience different kinds of forest. The long ones last for 4 hours to 8 hours for activities like jogging or mountain climbing including Ao Ech - Viet Hai, May Bau - Quan Y cave, Kim Giao - Me Con - Tung Di. The short ones last for 2 hours to 3 hours for bicycles, motorbikes, cars, jogging and mountain climbing including Kim Giao forest - Ngu Lam top mountain, Trung Trang cave - Uy Ban cave. Choosing “Kim Giao forest - Ngu Lam top mountain” tourists can reach the height of 225 meters above sea level where they can get the overall view of the whole national park. If you bring children to go with, there are practical learning treks about plants specially designed for kids. Along the way, the kids will be carefully shown to observe and learn about the plants of the forest. Not only forest ecosystems, the sea ecosystem here is another favour of nature that Cat Ba National Park has. Colourful fringing reefs containing various classes of coral in over 1500 ha was recognized as the largest fringing reef of the Northern Gulf. Lying adjacent to the caves where the bat families inhabitant is the highlight of the visiting. Going to Haiphong, don’t forget to pass by Cat Ba to have the chance to admire the beautiful nature in Lan Ha bay, Tra Bau, Viet Hai, etc. Tourists can also hire a kayak to explore the place themselves. 40.000VND ( about $2) for an adult and 20.000VND ( about $1) for a kid. These prices are also applied for most of the treks in the national park.